HBA were appointed to provide landscape consultancy for Homes for Brighton and Hove, a joint venture partnership between Brighton & Hove City Council and the Hyde Group set up to develop 1,000 new affordable homes for local working households over 5 years. The first three council owned sites proposed for development include a former day care nursery at Clarendon Place in Portslade, part of the Shoreham Harbour Regeneration Area. The scheme was developed through a multidisciplinary team approach from concept design to an outline planning application. Our input included pre-application work including design development, discussions with Brighton and Hove City Council, community consultation and Design Panel South East review. The site provided particular challenges given its exposed coastal location and setting alongside a busy main road but also allowed opportunities to create a more appropriate urban block development and activated street frontage with meaningful public and private realm. The landscape design strategy seeks to create a robust and welcoming place and wherever possible improve the local landscape quality and character. 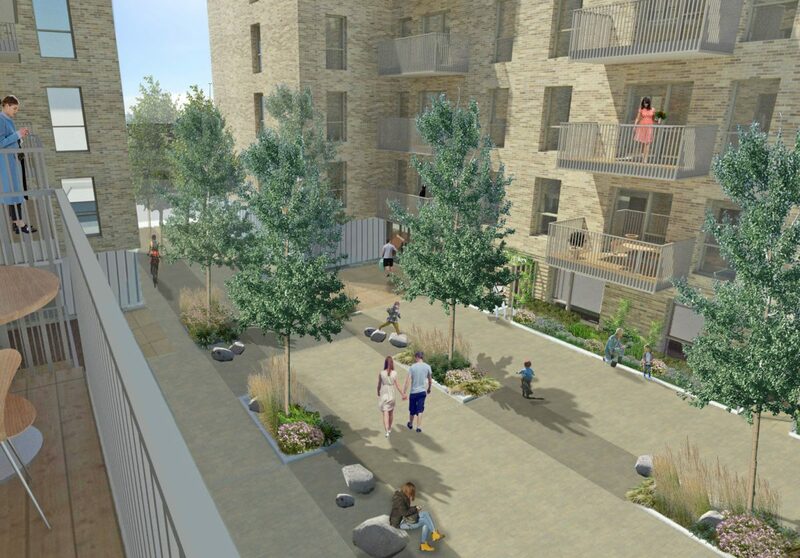 The scheme provides opportunities for passive activity, incidental play and edible growing based around four character zones: a Green Corridor frontage, Central Courtyard, Private Gardens and Parking Zones.